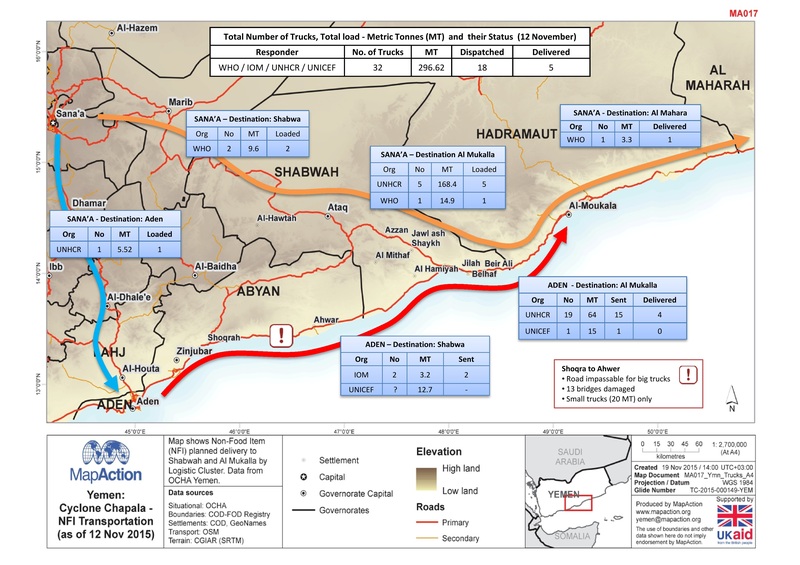 Map shows Non Food Item (NFI) planned delivery to Shabwah and Al Mukalla by Logistic cluster. Data from OCHA Yemen. 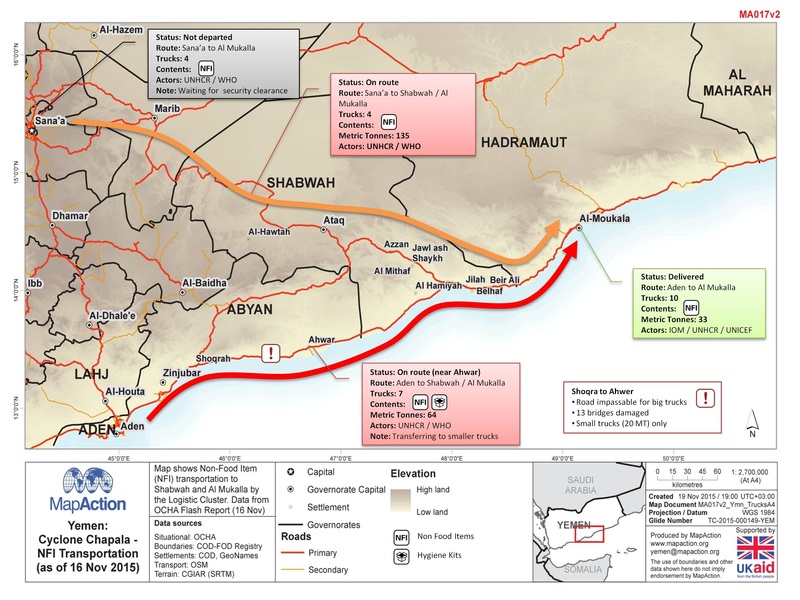 Map shows coastal ports in Yemen and Oman together with the land terrain and major roads.